This photo shows me getting an early start as a world traveler in Bangkok, Thailand. 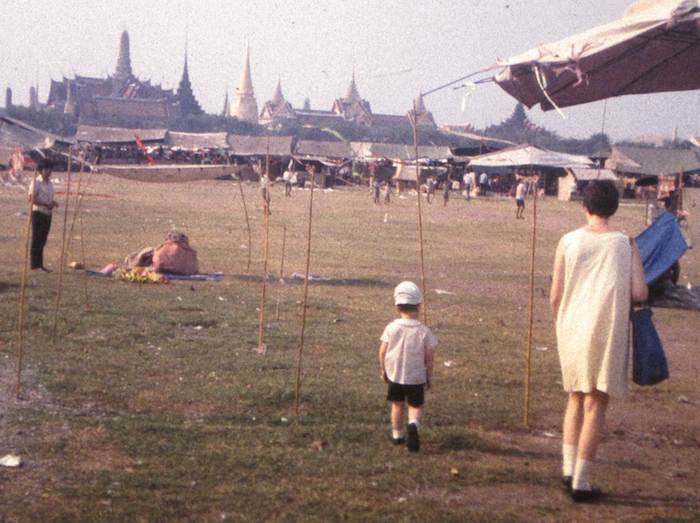 You can see the Grand Palace in the background. I am taking my small steps toward it in the foreground. In addition to this blog, the Curious Cat Travel Photos site document my continuing travels.